Buy Teamine® under eye cream for dark circles to reduce puffiness. 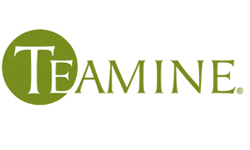 Teamine is a top-selling product that fades dark circles under eyes. Nothing works more effectively than Teamine. This creamy formula hydrates and heals the delicate skin around the eyes to create a more youthful appearance. I use the Teamine eye cream, so I decided to try the concealer after reading the reviews. It is now my favorite concealer. A little goes a long way, so the product will last longer than other concealer products. If you use too much, you will know instantly remove the excess product. The product goes on smoothly. Really nice.